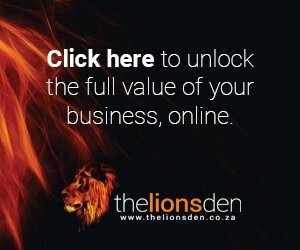 A Social Media and Creative Content Studio, I returned to Cape Town in July, after 4.5 years of travelling, I want to stay, but after working for almost 20 years I wanted to start something I could run myself. BrownSugar is a full service creative studio, specializing in social media & marketing solutions. We work with an international team of collaborators we consider our hivemind. Our collective is dedicated to creating platforms for businesses who thought digital was out of their reach. Our idea for the digital revolution is to make online business and social media interactions accessible to anyone that has a need to grow their business on new platforms, bringing global solutions to your village. We are not trying to reinvent the wheel, that’s your job, we are ingeniously helping you do what you do better by been an integral part of your sales force from a creative perspective. Pulling all aspects of your marketing in the same direction to elevate your brand. As a full-service studio, digital is our focus, nevertheless we go analogue too, nothing beats boots on the ground to make things happen. Are you wondering what makes us different from every other creative digital studio? Simply put, it’s all about who we are. Personal and not corporate, at BrownSugar we communicate on the level with our business partners. Making client recommendations as if it was our own business, a quick buck is nice, but we prefer long term relationships, with people who trust us. There are enough corporate giants out there, we want to work with business owners who feel digital creativity is beyond their pay scale. We want to start a digital revolution, making the online world accessible to all. We do this by using our hivemind, bringing global to the village. Our focus is on SME, there are many small business’s that are stuck that can’t afford to have marketing, we intend to help ourselves by helping others. The other side to our business is growing our brand platform, we want to do this by focusing on Cape Town events promoting local business. Pay office space – we are renting desk space at a local co-working spot, its a bit distracting, they have a private office. That is our goal. Employ additional staff. I like the idea of students / freshly graduated as I remember how hard it was for me to get my first job, I want to expand. I would like to nurture and grow a team who I can lead rather then doing all the work myself. Freeing me up to think of bigger goals. Buy software outright for the year. Additional equipment and software – for making videos. I would donate a portion of it to local charities, I have signed up with SouperTroopers, to donate my time as I have no money, but when I have money this is my goal. If there is any left over, get a car. My mom doesn’t have a car, so I share mine with her, I’d like to have my own wheels to get around as I want and need not having to schedule everything around her.